Thursday Moda #112: Monochrome Millennial Pink. My life has been a roller-coaster the last 5-6 months, I could seriously use all the virtual hugs and all the praying! 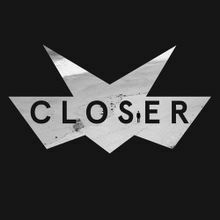 I wish I could be more open, but I am not ready to talk about anything specific, just yet. But seriously. I don't even know how I make it sometimes. And I really don't want to complain, because in general I like to see the glass as half full, but I am a realist. Plus, I feel like I have complained about the weather a lot lately, on the blog. Though thankfully we have had some warmer days from low in upper 40s to high in mid 60s. 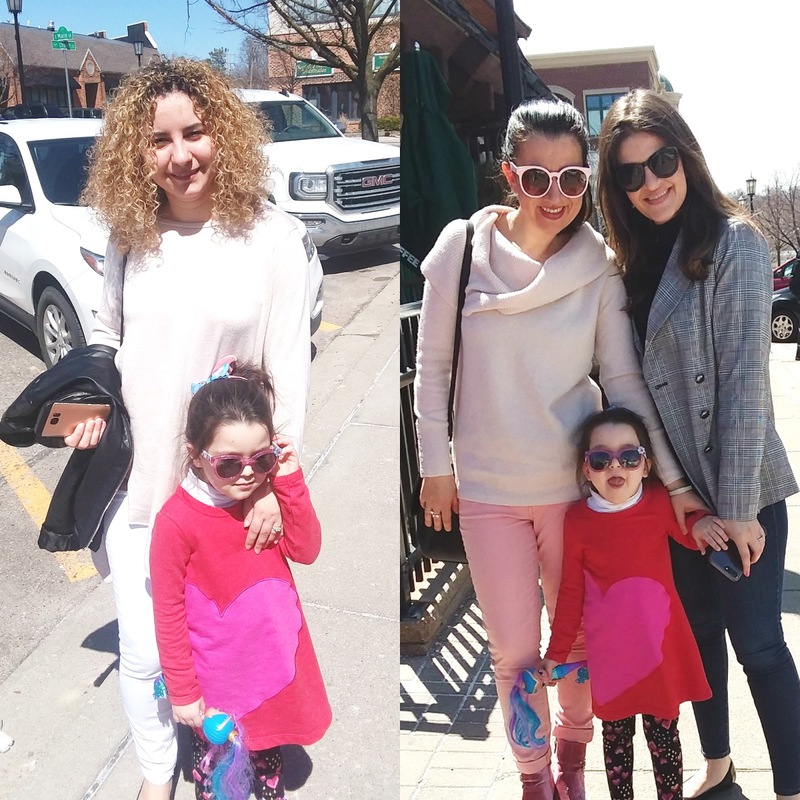 But speaking of that roller-coaster, some days are better than others, some are great days - like last Sunday where I wore this Monochrome Millennial Pink Outfit, when I met my first cousin and my cousin-in-law for Starbucks and a lunch date, in beautiful down-town Northville, MI. Plus our temps were a high of 60, though a little windy. Glad I stuck with a sweater and jeans. I cannot stay away from Millennial Pink or Blush Pink or Soft Pink, lately. As some of my latest posts in here show too (exhibit A and B). It is such a beautiful color that I have been wearing in small doses, medium doses or a lot, like in today's lovely Sunday stroll look. I love that despite having many tones of soft pink on from darkest to lightest, this tone-on-tone monochromatic look totally works. 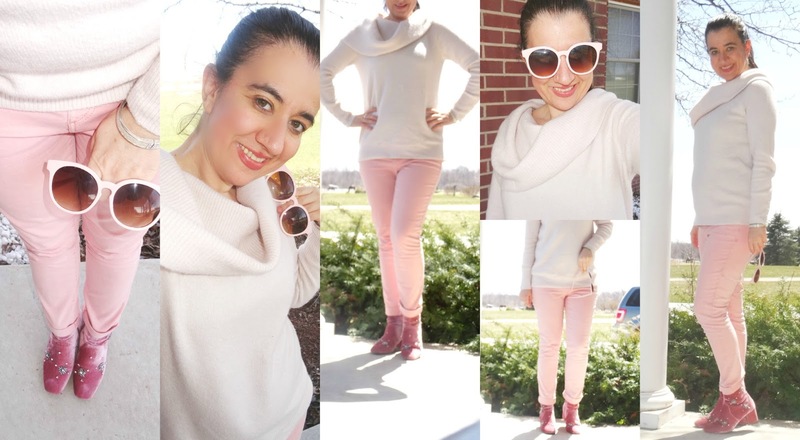 And yes, in case you counted all the pinks, they are in my booties, skinny jeans, cowl-neck sweater, sunglasses, lips and cheeks. Even the little pimple above my upper lip (due to my period - thank you lol!) is a hot shade of pink. My cousin-in-law (pictured right below with Vivian) was wearing a similar monochromatic look in shades of ivory. Last week was all about textures+lace for me, but I did notice all the pretty prints you all linked. Some were small, some were whimsical, some were large and bold and fun. You will notice it through some of my favorite outfits today. How did I narrow it down to 6?! It was difficult, let me tell you. But look at those pretty florals and that fun 70s-inspired jumpsuit!! 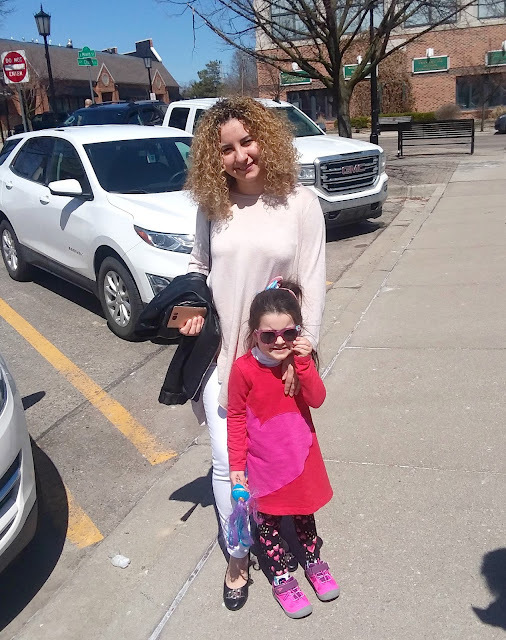 Nina designed 'A Perfect Spring Dress for Mother's Day'. The olive and mustard shades on such a pretty floral, combined with a flattering midi length, make it so beautiful. 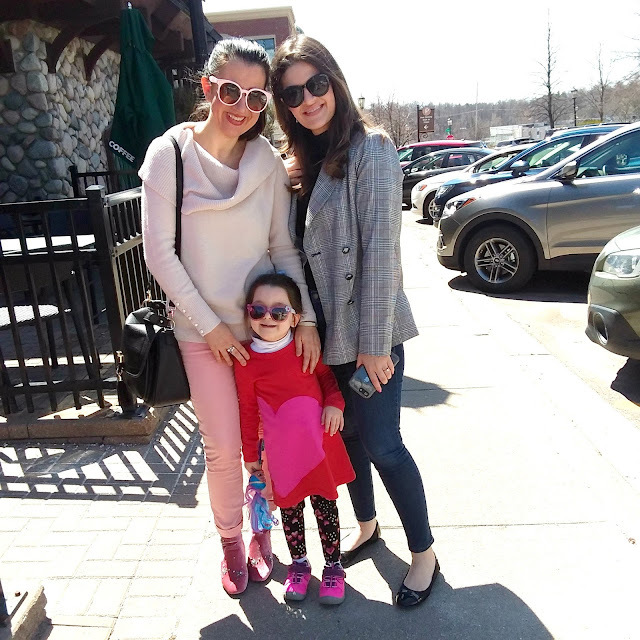 Kelsey's 'Geometric Blouse' is perfect for Spring and she can match those colors with so much in her wardrobe. The turquoise statement necklace was perfect for this April Springy look. Bryanna is in 'Coachella Street Style' wearing a funky floral, 70s jumpsuit complete with retro sunnies, a cute fanny pack and a fun newsboy cap. Even her background is perfect! Nailil has on 'An Embroidered Skirt' that shows off her beautiful long legs. With Mexican vibes while carrying a bamboo bag, she is ready for date night... on Cinco de Mayo. Jennie stays true to her favorite pattern- 'Polka Dot'. Her dots are large and in charge and go so well with the matchy black+white stripes. Love it! 'Moving to a New City' brought new shots and gorgeous backgrounds for Roxanne. Her style is a little more elegant too, like this stunning wrap dress with a flirty ruffle. Love her shoes. 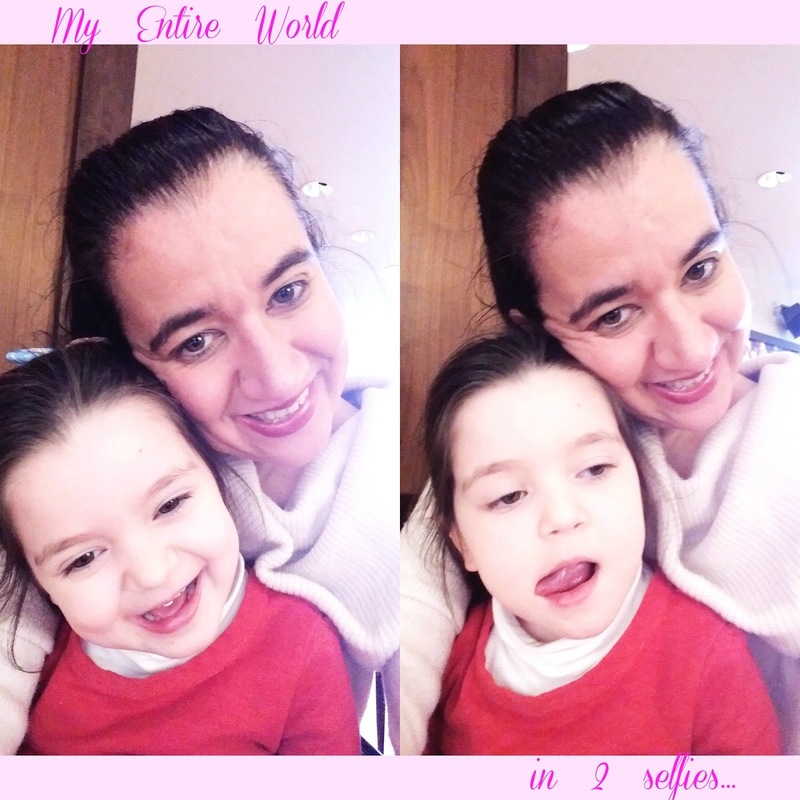 Sorry for this week's huge rant... but such is life! Next week I will be more cheerful (hopefully) as I celebrate my birthday so join me next week for a special Thursday Moda Celebration, because May 3rd and May 4th will be reserved for my Blog Birthday Party where I have invited some of my favorite blogger babe friends, too. Black and Blush Pink for Spring. Hope your weekend is going well you all. This is the case of one of those outfits that is cute on but doesn't photograph as cute. I think that's because it looks like those pants don't go so well. But they are actually Dressy Black Bootcut Trousers. I decided to pair them with Blush tones - lots of them. Because Blush+Black is always beautiful, no?! I am wearing 4 different blush items (in different shades) but they all sort of blend in together, creating a monochromatic look altogether. 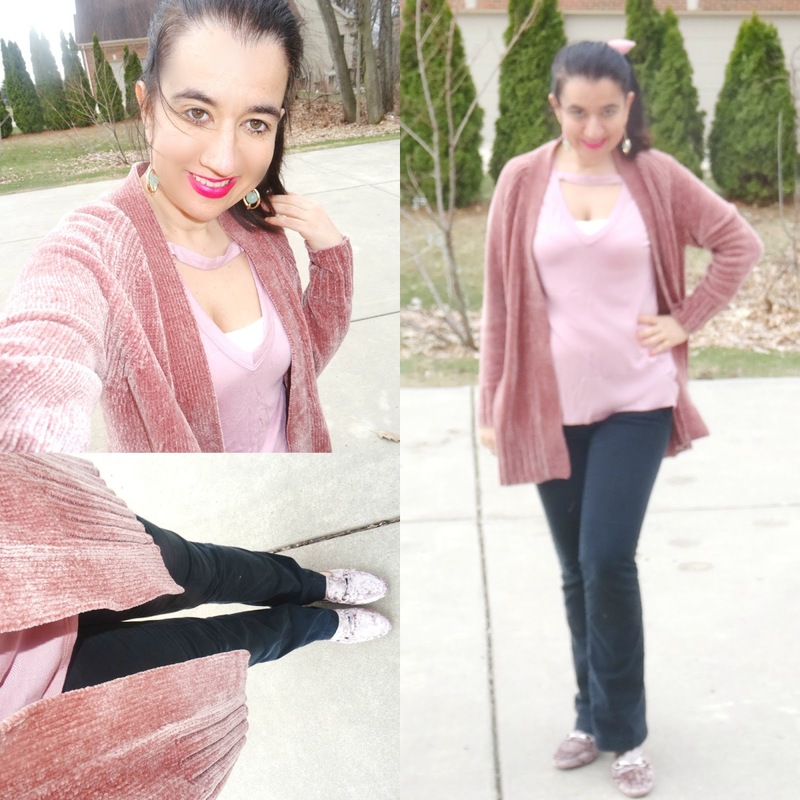 My Long V-Neck Loop Tee (by Nordstrom), Long Chenille Cardigan (by Loft), Velvet Mules (by Target) and Soft Velvet Bow Ponytail Holder (by Old Navy) are all in shades of Blush Pink. I ended up wearing this outfit this past Wednesday (when it warmed up a bit) to work, a dentist appointment and then going bra-shopping with my mom lol. I hate bra shopping, don't you?! I did get measured a month ago so I at least buy the right size, now. But I ended up buying three bras that fit great and are so pretty and they are all in pretty shades for Spring+Summer too. 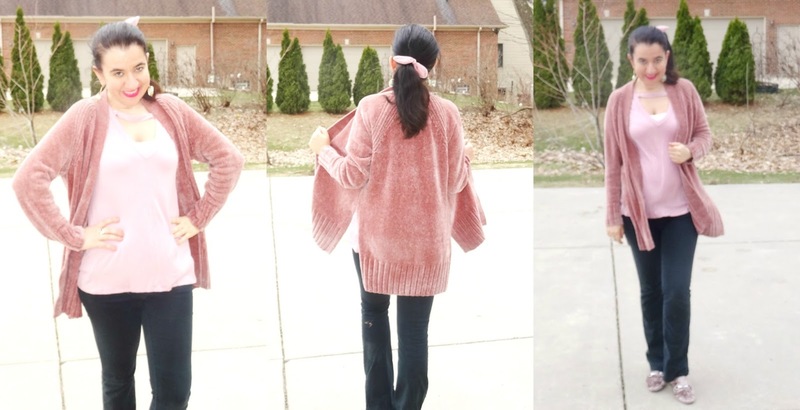 But yeah I got a lot of wear out of this Chenille Cardigan in the beginning of Fall last year and cannot wait to wear it more this Spring and into early Summer. This tee will get a lot of wear too - since I wore it to work and I have a lot of cleavage, I opted for a little demure white camisole underneath it, this time. Also, these Fun Heather Green Ball Circle Earrings I have recently purchased on clearance from Target, are perfect and light for Spring and Summer and definitely make a statement! What do you think of this outfit?! I definitely think it will work for a business casual environment as well as put-together mom wear or daily errands.